A gunman opened fire on a field in Alexandria, Virginia, where Republican members of Congress and staffers were practicing for their annual baseball game Wednesday morning. 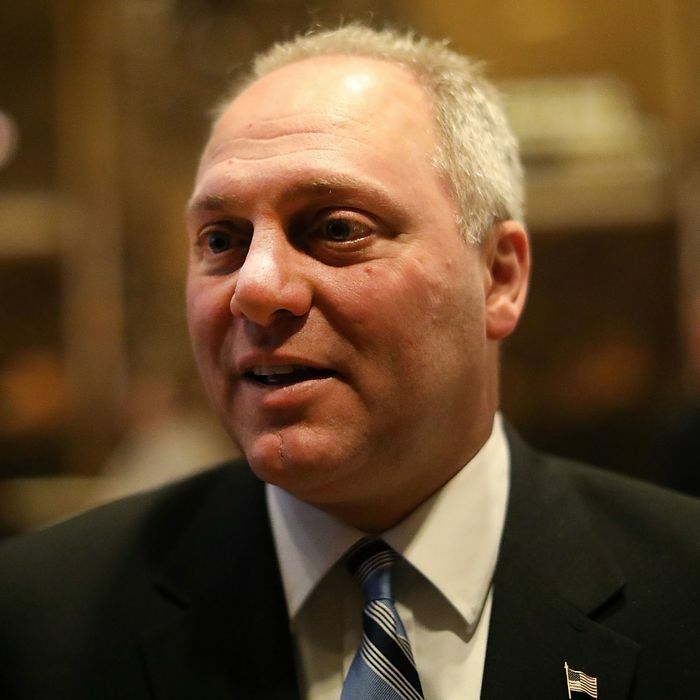 House GOP Whip Steve Scalise was shot, and one of a total of five people taken to the hospital after the shooting, Alexandria police confirmed. The lone gunman was reportedly shot by police, and died in custody from his injuries, President Trump said during a Wednesday-morning statement. One current Hill staffer, a lobbyist, and two Capitol police officers were among the others injured. Earlier reports that suggested Texas representative Roger Williams had been shot were false, though his office confirmed that one of his staffers, Zach Barth, was among the injured. Barth later posted, via friends on Facebook, that he was okay. Another victim, Matt Mika, a former Hill staffer and now director of government relations for Tyson Foods, reportedly suffered multiple gunshot wounds. The injured Capitol police officers were named by Speaker of the House Paul Ryan as Special Agent David Bailey and Special Agent Crystal Griner. Both were wounded in a firefight with the suspect. Scalise, the only congressperson injured of the nearly two dozen on the field, is in critical condition. He underwent surgery Wednesday morning. 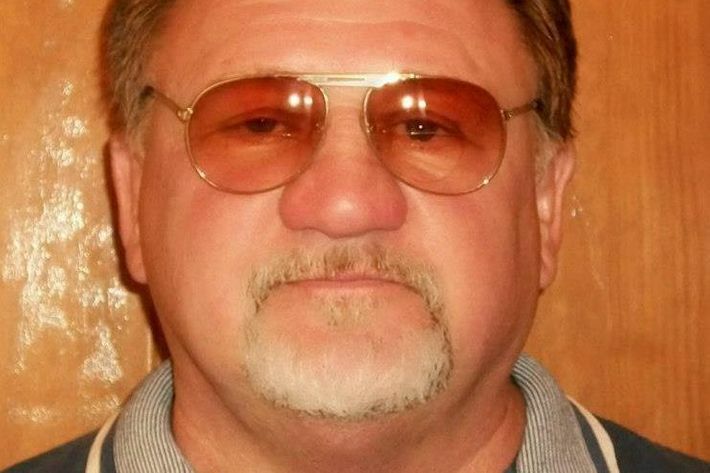 Law enforcement officials have now identified the gunman as 66-year-old James T. Hodgkinson of Belleville, Illinois. Witnesses described him as a middle-aged white man; he was armed with a pistol and an M4 automatic weapon. Tim Slater, an official with the FBI, told reporters during a briefing that it was “too early to tell if they were targeted or not.” But some witnesses say the shooter had wanted to know the players’ political affiliation. Congressman Ron DeSantis told Fox News that the shooter asked him moments before the attack whether Democrats or Republicans were on the field. Representative Jeff Duncan confirmed this account. Witnesses at the field, many of them Republican congresspeople, reported hearing their scrimmage interrupted by dozens and dozens of gunshots. Alabama congressman Mo Brooks said the gunman fired at least 50 times. “I was lying on the ground with two and three others as the gunfire continues,” Brooks told CNN. Rand Paul shared a similar account with MSNBC, and other Congress members recounted a chaotic scene with the players scattering at the blast of bullets and ducking for cover. Armed U.S. Capitol police officers were reportedly at the baseball practice as part of Scalise’s security detail. With bullets flying, those Capitol police officers reportedly rushed toward Scalise, exchanging fire with the suspect, who was firing from the dugout near third base, reports CBS News. Many witnesses have credited those armed Capitol officers from preventing a massacre. Alexandria Police Chief Chief Michael Brown said his officers responded within minutes to the first calls of an active shooter – just after 7 a.m. this morning — and cops arrived on the scene and engaged with the shooter. Brown declined to go into more details, but said Alexandria police were working closely with U.S. Capitol police and the FBI, which is now leading the investigation, in what he called an “active” investigation. All officials have stressed that no threat exists to the community at large. Arizona senator Jeff Flake was reportedly at bat when the first shots were fired. He told reporters that the attack lasted for ten minutes while the gunman and security officials exchanged fire. It is unclear whether Scalise — apparently the highest-ranking GOP member on the baseball field — was specifically targeted, and FBI officials have stressed, again, that it’s too early in the investigation to tell. Florida representative Tom Rooney, who left just minutes before the shooting, told CBS News, “We all wear baseball stuff, so it’s not like we’re that easily discernable.” Speaker Paul Ryan was not at the practice; he was working out in the House gym at the time. Congressional Democrats were also practicing for the charity game tomorrow, but at a separate field in a different location. House Democrats gathered in the dugout and said a prayer after hearing the news about their colleagues. President Trump offered his prayers for all affected in a short statement.